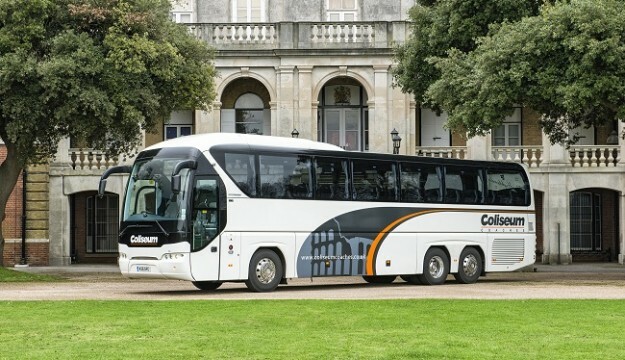 Southampton-based coach firm Coliseum Coaches has been recognised for the excellence of its service and has been given a rating of ‘excellent’by the Guild of British Coach Operators. The Guild requires each of its member firms to meet a rigorous 44-point quality standards checklist, carried out every two years, to ensure they remain committed to providing to the highest industry service. Mark Pitter, Coliseum Coaches’general manager, said: “To receive an ‘excellent’ rating in our audit from the Guild means our reputation for customer service, reliability, investment and professionalism is well-deserved and recognised within the industry. The recognition from the Guild has come just weeks after Coliseum Coaches invested in two new coaches. The firm has acquired a 62-seater Van Hool Altano and a 59-seater Scania Irizar i6, both of which will be used for the firm’s popular excursions and cruise transfers. Coliseum Coaches, which can trace its origins back to 1890, is one of only two coach firms in Hampshire to have been accepted as a member of the Guild — the other is its parent company, Lucketts Travel.